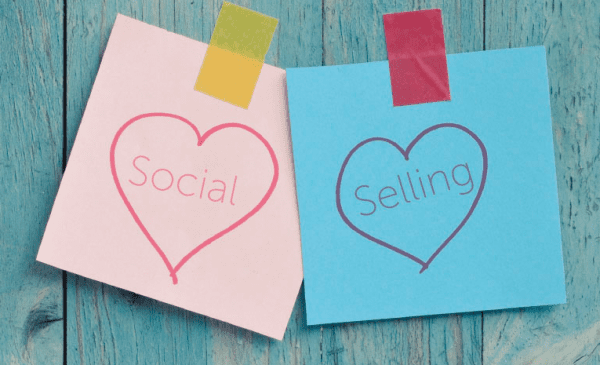 As a sales person, you have probably heard the term ‘social selling’. You may even be practising it. If so, congratulations! – you’re tapping into one of the newest ways for sales teams to engage with their prospects. If you’re not yet using social media to interact with your clients and prospects, you’re missing a trick. While it started as the preserve of the marketing team, increasing the value of social media in building relationships is being recognised by sales professionals. You may have noticed that it’s harder and harder to get hold of prospects on the phone. And when you do, the amount of time they have to talk to you is limited. Like all of us, your prospects exist in an increasingly frenetic world. While cold calls and overt selling may no longer work, building a relationship with prospects via social media can be very effective. Social media isn’t a ‘hard sell’ channel, but somewhere that potential buyers expect to find useful, usable content, and answers to their queries. By delivering these, sales teams can organically grow their relationships with prospects without resorting to phone calls or other sales techniques with diminishing returns. Interacting directly with your prospects gives you a one-to-one relationship very different to the one they might get by following your corporate social media accounts. But as a rule, while corporate social media accounts (especially those of large corporate financial services firms) are expected to be more straight-laced – more ‘broadcast’ and less interactive in terms of content – your own account can have a bit more personality. By using social media, you can really get to know your prospects, and vice versa. Remember the old saying ‘people buy people’? It’s true, and your buyers can get to know you as a person on social media. One of the first decisions you’ll have to make is about which social media platforms you should use. Be guided by your clients and prospects here. Linkedin and Twitter are generally seen as the main business social media platforms, but there may be others in your sector, or sites – like MallowStreet, in the pensions industry – that have a combination of content and forums for sharing opinions. Focus on the platforms where you know you’ll find your prospects. No-one is going to build strong prospect relationships by bombarding them with irrelevant or salesy information. Content needs to be useful and appropriate, and help your prospects in their day-to-day work. Answering questions is always a good way to demonstrate that you know your stuff. Once you have a few followers, let them know that you’re there to help with their queries about your firm, areas of business or industry topics in general. Helping prospects via Twitter and Linkedin not only provides value to them, it showcases your knowledge to all your followers. Getting hold of, and sharing, content that is genuinely useful is essential. Sometimes sales teams feel a bit removed from the content the business creates. In some cases, you may feel that it’s not as helpful as it could be in terms of giving you material to engage prospects. If this is your experience, talk to your marketing team. Coming up with good content is a constant challenge – if you have ideas, they’ll almost certainly be pleased to hear them. If you work in a regulated industry, you will need to make sure your social selling efforts are compliant with your regulator’s requirements. In financial services, the Financial Conduct Authority (FCA) has clear guidelines on how social media should be used (and if you want to read about this in more detail, Perivan Solutions blog ‘What is the FCA policy on social media?’ is a good place to start). This means you need to ensure your social media posts follow regulatory guidance. Your compliance team will be able to help, and will need to review and sign off any posts. Posts also need to be archived in a compliant way to provide the requisite audit trail – relying on the social media platform to do this for you won’t do. Once you start on social media, it’s a one-way street. There will be an expectation that you are available – social media, and social selling, aren’t things you can dip in and out of. Make sure you’re checking your accounts regularly to pick up and respond to any interactions. Make sure you’re posting regularly too – it’s better to start with an aim of doing one post a day, and sticking to it, than to start with a lot of zeal and tail off because you can’t keep up the pace. Once you start engaging on social media, your followers will expect you to be there. Hopefully this has given you a grounding in social selling, and some tips (and enthusiasm!) for getting started. As we mentioned above, if you’re active on social media, you‘ll need to make sure you’re fully compliant. Perivan Solutions ’10 best practices for compliant social media’ has lots of practical tips – you can download a free copy here.